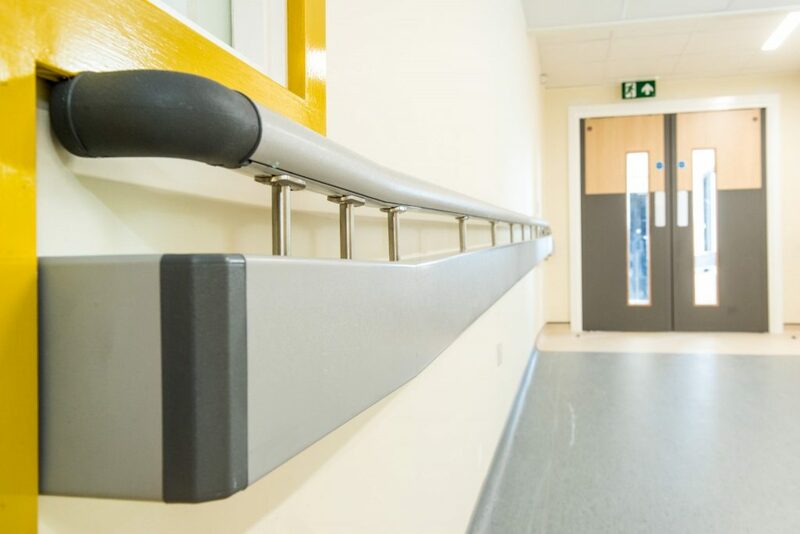 County Hospital, Stafford, have invested in four new wards which are to be opened throughout the year, offering more patient beds and spacious areas conducive to patient care and staff wellbeing. 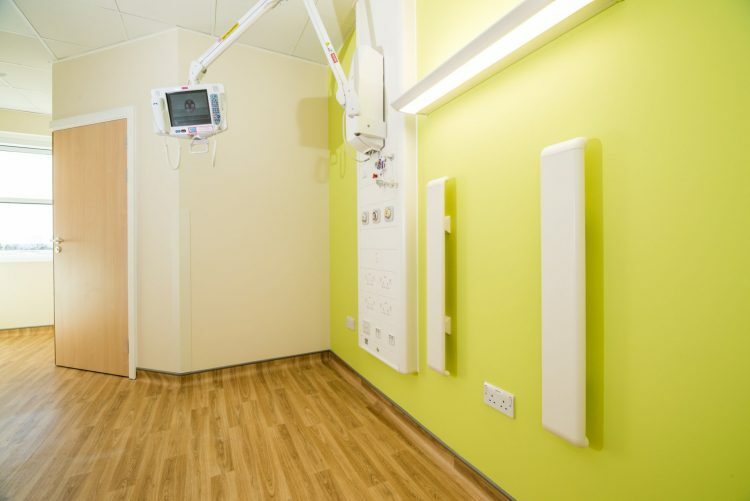 The first of such wards to be opened is Elderly Care, Ward 15, which – now containing 28 beds with 12 single en-suite rooms, four, four bedded bays, a dedicated rehabilitation/therapy space, counselling and day room – is a great improvement on what was previously available. 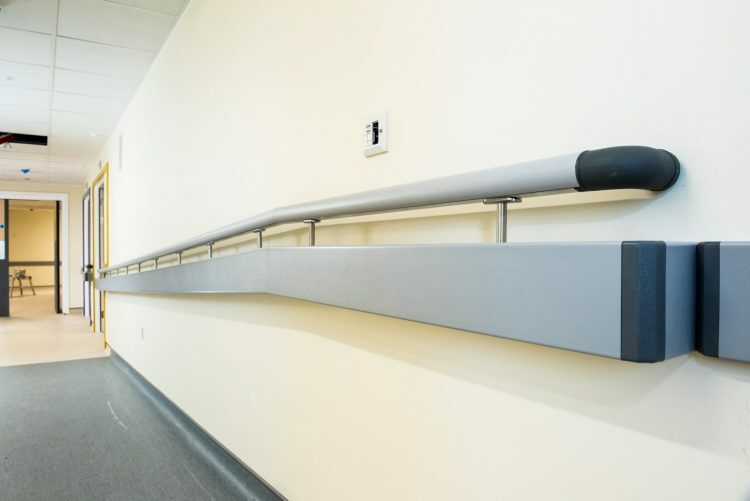 To ensure that the investment of time and money made by County Hospital in the redecoration and layout of the new ward was preserved for many years to come, Yeoman Shield Guardian Twin Handrail was fitted to the walls along the bed bay corridor. 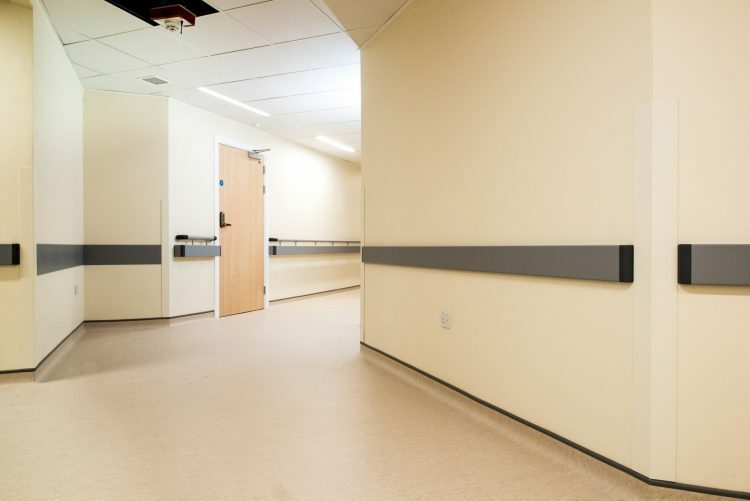 All were supplied in complementing shades of Grey, dovetailing into the decor scheme, contributing to a clean and attractive appearance throughout the unit. 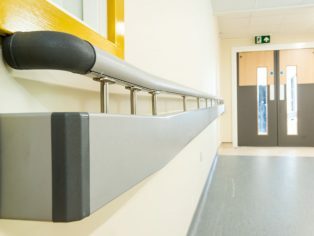 For more information on Yeoman Shield wall & door protection products and how they can save on maintenance budgets go to www.yeomanshield.com or call 0113 279 5854.